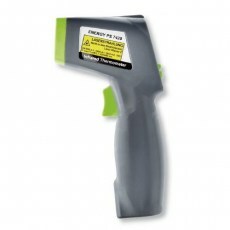 Ultrsonic measuring meter which uses a built-in laser pointer to calculate measurements up to 40 metres distant with a resolution of 0.01metres. Sensor which detects wall studs, pipes, power cables and voids behind wall board sheeting. Sensor which detects metal pipes & power cables behind wall board sheeting. Has added function as a battery polarity tester, continuity and earh tester for appliances required to be earthed. 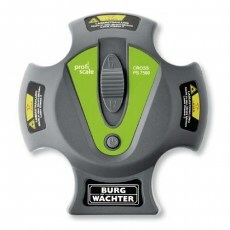 Illuminates a vertical and horizontal laser line up to 20 metres. Self levelling and supplied with tripod. Senses temperature on a surface using infra red technology. 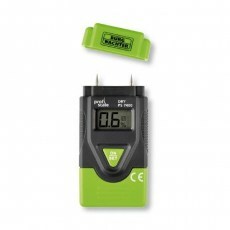 Pocket sized meter also good for brickwoork and plasterboards. When meter is set to measurin wood moisture content from 6% to 42%. supported. 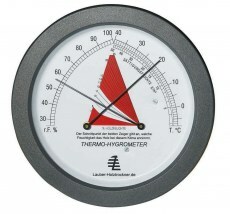 Meter also indicates ambient temperature.